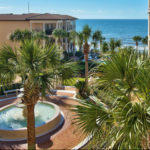 Gulf views abound from this luxurious three-bedroom, three-and-a-half bathroom condo at Bella Vita in Blue Mountain Beach, FL. This fully furnished condo offers an open and inviting floor plan perfect for entertaining or having family get-togethers. A large kitchen with ice maker, wine fridge, modern appliances and huge granite counters provide an ideal spot to cook a delicious family feast. The oversized living room features a beautiful granite mantel with gas fireplace, flat screen tv, wine rack and storage, and bookshelves. 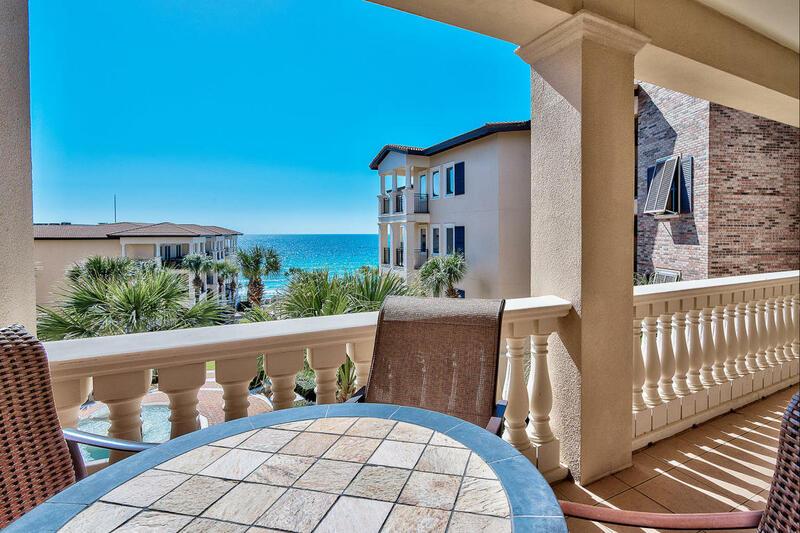 The large balcony offers amazing Gulf of Mexico views and an ideal spot to relax with a glass of wine after a long day at Bella Vita’s deeded private beach. 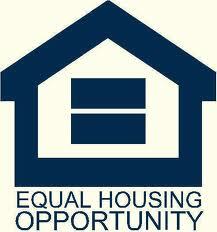 All three bedrooms feature beautiful hardwood floors and private en suite bathrooms. The master bedroom has excellent views of the gulf as well as access to the balcony. The master also features two walk-in closets conveniently located before you enter the tiled master bathroom with tub, separate shower, dual vanities, and separate water closet. A large laundry room with full sized washer and dryer is located in the condo as well as an additional half bathroom off the hallway, available for guests. The condo offers great storage with built ins in addition to an exterior storage closet next to the front door for all of your beach gear. 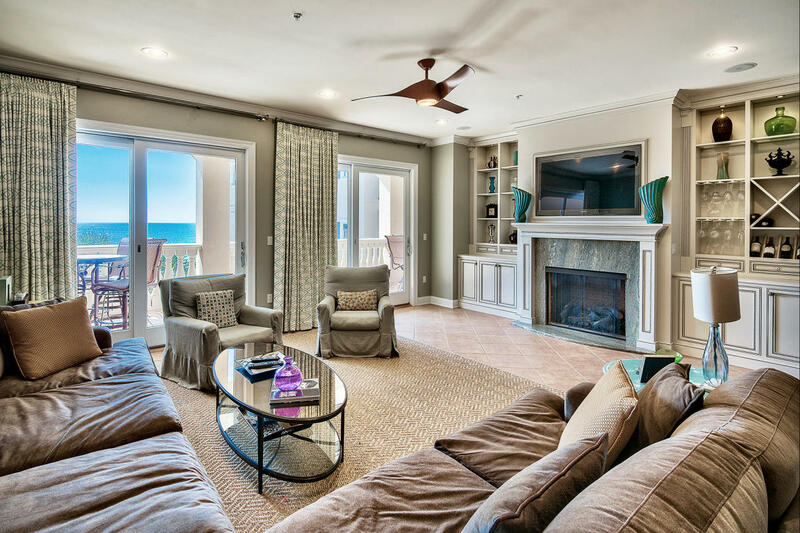 Bella Vita is ideally situated on Scenic 30A in Blue Mountain Beach, FL. 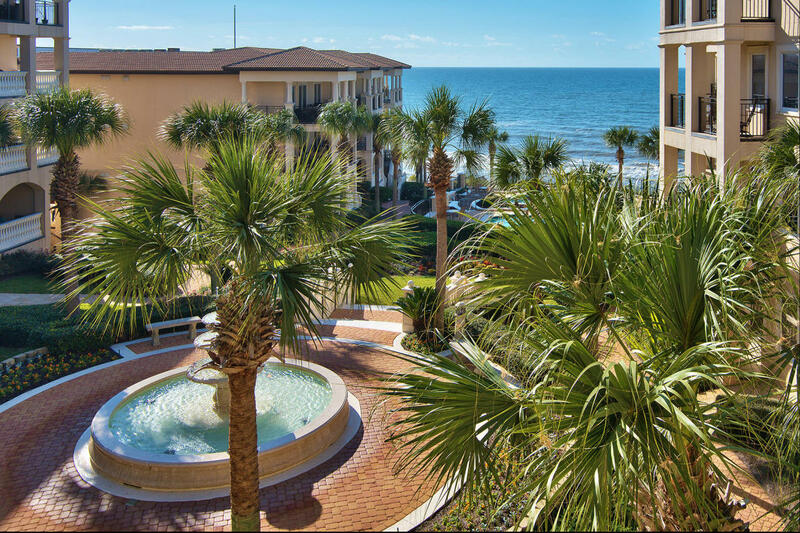 This gulf-front gated complex has parking garages beneath the buildings, a fitness room, 2 private pools, and deeded beach right out front.